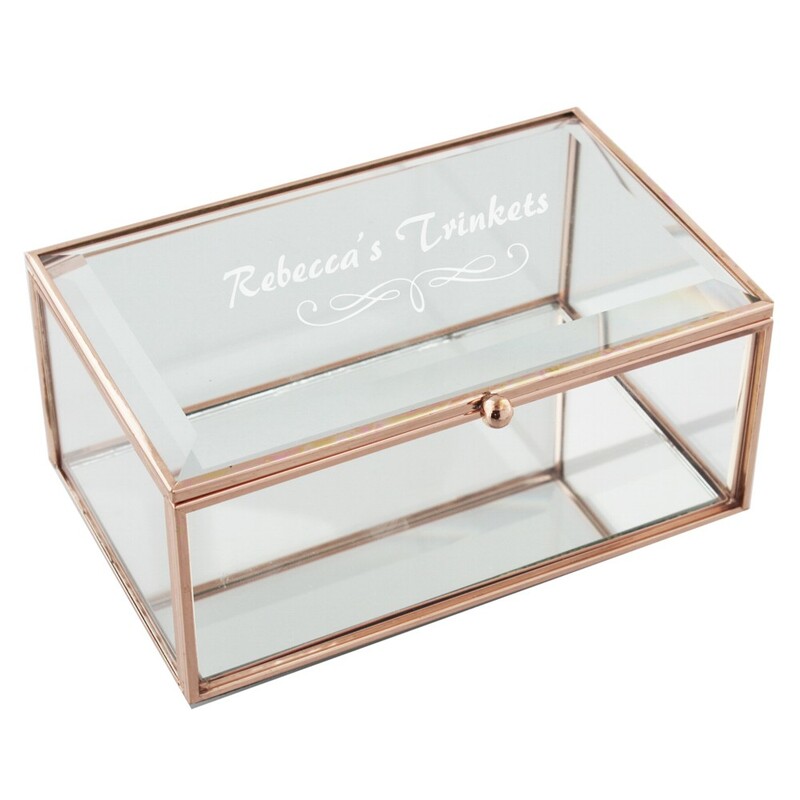 Engraved Hestia Rose Gold Oblong Glass Jewellery Box. This beautiful Glass Box measures 7 x 16 x 10cm and it has a mirrored glass bottom within the box. We will engrave your text onto the lid of the glass jewellery box. The decorative line detail under the text is optional, please choose your preference from the drop down box. It is a truly unique, well made gift for Wedding gifts, Mother of the Bride and Groom, Bridesmaids, Christenings, Special Birthdays, Anniversaries...it's endless!